Hogy makes a fantastic array of soft plastic baits that fish find irresistible. Through modern technology, Hogy is able to create super realistic soft baits in a wide variety of patterns and colors. These baits are effective at catching a wide variety of fish. Hogy also offers a full line of jig heads, rigging materials, rigs and tins to complement their soft baits. 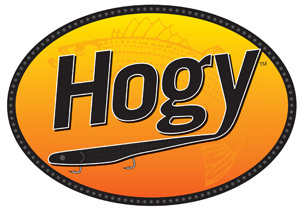 If you are new to fishing with soft plastics, Hogy lures are a great place to start!